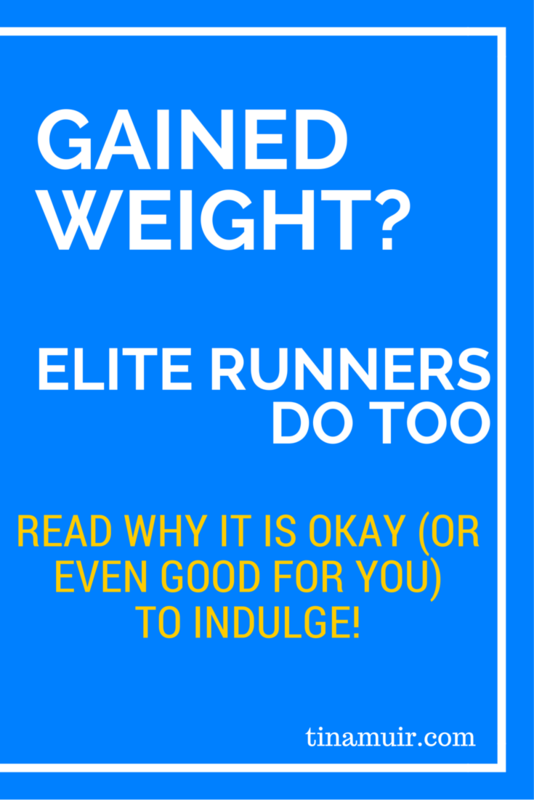 Weight gain is not worth beating yourself up over, as one elite runner found out. Last night I arrived back home to Lexington. After almost a month of travel, it felt good to be home. What was even better is that my good friend Sarah and her husband Mike were IN our house. Sarah was preparing dinner for the four of us, and they will be staying with us for a while. LOVE it! We all chatted at 100mph for the evening—so many things we wanted to talk about. We even got a chance to play Just Dance for a little while. That evening, however, I did have a little thought in the back of my mind…..I wanted to look at the scale. I knew I had indulged this last month. If you are a long time reader, you know I like my food, and you know that I do not just show you a giant bowl of ice cream, take a picture of it, take a bite, and then throw the rest away. I eat the whole damn thing, even licking the plate! I truly enjoy my sweets, and during the honeymoon, there were no holds barred. Too much in fact, but you know what—the benefits far outweighed (no pun intended) the costs. I ate everything I wanted. We had chocolate for breakfast one day. At each restaurant we visited, we ate exactly what we wanted. There was no healthy eating voice swaying our decisions….although obviously it was there, but the voice was drowned out by the other voice saying HONEYMOON! HONEYMOON! HONEYMOON! YOU EARNED THIS. When I got back to England, I intended to reign it in a little. 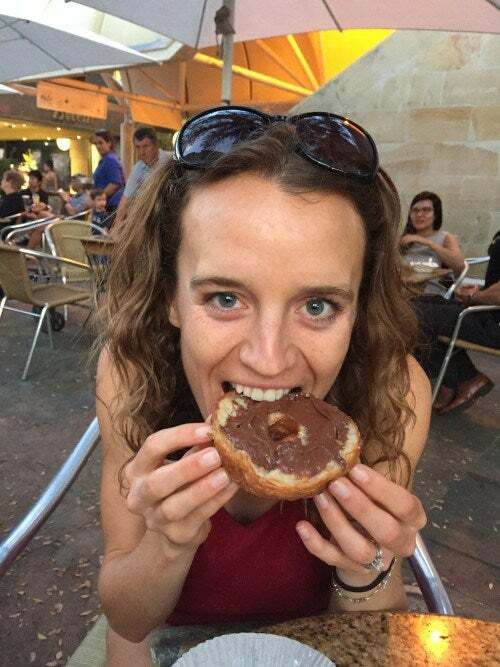 Rather than having chocolate every two hours, gorging on my favorite foods, I would back off, and eat healthy with a few unhealthy choices sprinkled in-between. I was too excited to be home for Christmas, and it was just too easy to drown out that conscious voice, especially as I was only in the base building stage of my training. So I kept enjoying my food. I was still getting in those good foods, the foods that fuel my training, but lets just say my caloric balance was way off, and I knew it. This morning, I stepped on the scale for the first time in a month. Somehow, I did not panic as much as I thought I would. I have not seen that number in a long time, probably a good 3 years. I gained 9 pounds over the last month, which yes, to many, may not seem like much, but to an elite runner who is going for some big goals in a few months, this is not ideal. 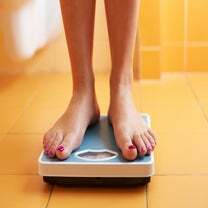 However, the point of this post today is not to tell you that I am going to jump into a mad diet where I restrict my calories to get back down to my race weight as quickly as possible. I cannot and will not do that. As I have said before, I am a big believer in working to your strengths, and I do not believe that the extra weight will affect my fitness. I am not in peak fitness right now, but I am not meant to be. I am already in good shape, but the serious, intense workouts are only just beginning. As I do those, and as the mileage begins to creep back to where it was, the weight will naturally come off. And that is something we can all keep in mind. This is not just for me, but hopefully everyone can relate to this, that we do not need to hate ourselves or jump into some crazy restriction as you enjoyed the holidays a little too much. It does not define WHO you are OR how fast you will run! It just affects your confidence……if you let it! So I am just going to focus on making better choices over the next few months. This means not waking up first thing in the morning, staggering my way over to the chocolate and then eating a bar. Or eating until I feel so full that all I want to do is lie on the floor and rub my stuffed belly. I am not cutting sweets entirely. That will make me miserable and likely to gain more weight as I eat other things to “fill the void”. Instead, I will go back to my once a day evening splurge of whatever I like. This seems to work well for me. This is the year I want us to all work on loving who we are. I want us to Be Brave. Be Strong. Be You. together. Over the last month I enjoyed this once in a lifetime event in my life, and I can reflect knowing that I made the most of it. I felt like a regular person for once in my life, without the pressure of needing to look a certain way, or run a certain speed. I still got my training in, but at the end of the day, life is for living, and if we have balance, we are more likely to perform better in every area. So what do I want you to take from this? Well first, I want you to see that it is OKAY to indulge. Not all the time (although I do believe in a little each day), but 1-2 times per year. I am not talking about taking three days off and jumping right back into your healthy eating on day one of your running. I am talking about serious enjoyment. If you are going on a vacation with your family, please do not just eat plain fish and vegetables. You will build more life cherishing memories with your family if you are having what you WANT rather than what you feel you should have or spending the meal resenting everyone else for having something you want. The other thing I want you to take away is that we all fluctuate with our weights. I gained 9lbs in a month, which does not put me at an elite racing weight. I can visibly see the difference in my legs and stomach, BUT I am going to learn to love my body at this weight. Each time I look at my body, I am going to force myself to think about the memories I created with my husband, and how it was worth every bite. I hope this post has been helpful to you. I know it is a little rambly, but as I have said before, life is for living, and if you are obsessive over your weight, or sticking to a caloric restriction, you are not living life to the fullest. The weight gained will naturally come off as you train hard. And when you get into the serious phase of your training, the part that you have to knuckle down, thats when we need to eat healthy. That is where those little things matter, but after a big goal race (whether you get your goal or not), or while you are on your time off, or on a special vacation with family, ENJOY IT. You will regret it later in life otherwise. You are a wonderful person and have so much to offer this world, no matter what size you are.